DayTradeToWin, also known as Day Trade to Win or DayTradeToWin.com, is a popular day trading company known for day trading courses and software. Overall, reviews of their products seem to indicate positive performance. There are 65 posts filed in DayTradeToWin (this is page 1 of 7). 2019 Trading: Will Markets Continue to Rise? Don’t fall in love with the short side! 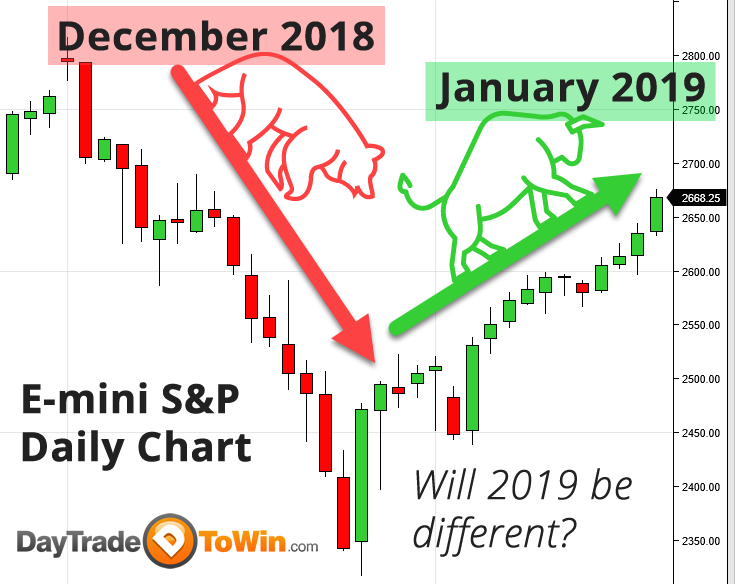 Yes, since late September in 2018, the E-mini S&P has seen a fair share of bearish activity. Easily, you could have found yourself looking only for short opportunities. Certainly, you would have had many short trades. December of 2018 was one of the biggest market downturns in recent memory. Let’s see what 2019 trading has in store for us. However, since the start of 2019, we have seen the market reverse. Is it time to think differently? So many traders want to know. Approach every day as a new day. It’s difficult to determine whether price will continue to rise or if this is all just temporary. After all, the U.S. federal government is still shut down. The new year promises further political upheavals. Over the years, one thing has stood out – it seems that the traders who do well are those that are quick to recognize opportunity and are not afraid to go against the grain. People who do not follow the majority (i.e. AI, algorithms, big players, and fellow retail traders) may fare better because they are not tricked into manipulation caused by AI trading systems and big players. These market movers can react quickly because of their fast connections and responsive algorithms. 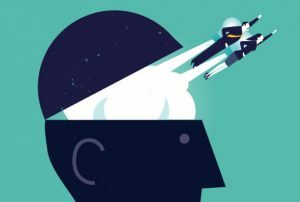 If you distance your 2019 trading style from the sheep-like behavior of the average trader and even commonalities among algorithms, you may find yourself in a winning position. If you want to change your approach for 2019 trading, take a look at the various trading courses from DayTradeToWin. Rumor has it that an entirely new system is being secretly developed, but you didn’t hear that from us! Do You Want to Become a Professional Trader? Even a trader who has years of experience can become anxious and lose passion. The dedication required to look at charts on a regular basis, maintain focus and optimism through ups and downs, and have the discipline to follow the rules can be a struggle. Remember that human behavior focuses on the reward for things we are already good at. However, markets are dynamic. If they were predictable, you would be constantly rewarded and there would likely be too many traders in the world (thus reducing the monetary reward of trading). Like any other successful learning experience, trading involves a level of direction – a willingness to fail, strive for better, understand what has and has not worked, and regulate emotional impulses. In some cases, the best way to trade is to not trade at all. Price action trading often involves identifying price patterns and following specific rules. Traders may prefer price action because it reduces emotional reliance. Can you boil your trading strategy down to a series of questions? First, is the market too slow, too fast, or just right? How about those price patterns – have any occurred recently according to the rules? If so, is it too late to place a trade? Will another trade occur in the near future? The ability to trade in an objective manner is often regarded as an attribute shared by successful traders. If you are currently a profitable trader, congratulations! You are one of the few who have figured it out. For the other 99%, you have a few options. For one, you could spend a lot of time and money developing your own techniques and testing them in live market conditions. If you work a full-time job or make a middle-class income or less, you may struggle to find the time or the finances to support this approach. You could read books and learn valuable information. However, many trading books are theoretical and may not provide actionable strategies. And if they do, do they really work in today’s markets? There are many trading courses in existence, but which ones are effective? Many people are capable of putting together a website with compelling content. Do you really have the time to research? And if so, which trading methods have stood the test of time? Becoming a professional day trader is no easy task. If you would like more insight on trading methods that have proven to be effective for other traders, leave a comment! What are the Thanksgiving trading hours? As you may know, Thanksgiving Day, November 22, 2018, is a major U.S. holiday. Expect the markets to close early. We trade the E-mini S&P, which is a CME (Chicago Mercantile Exchange) equity product. 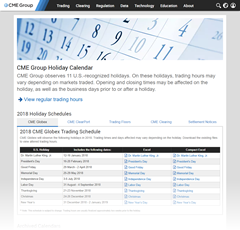 See the official calendar information from CME’s website. The compact Excel file is probably the easiest to navigate, though there is no need as we have summarized the holiday market hours as follows. If you trade other markets, it is best to refer to the full CME calendar or your exchange’s calendar (whatever that may be for the markets you trade). Nov. 22, 2018 (Thanksgiving Day): early close (halt) at 1:00 p.m. ET (13:00 GMT-5). Markets reopen at 6:00 p.m. ET (18:00 GMT-5). Nov. 23, 2018 (Black Friday): early close at 1:15 p.m. ET (13:15 GMT-5). Be careful trading around holidays. Markets can become slow on early closure days or behave more erratically than usual. Some of the big players and trading systems may not be trading. Use the ATR (Average True Range) with a period value of four to compare volatility levels with non-holiday conditions. Black Friday (Nov. 23, 2018) and Cyber Monday (Nov. 26, 2018) are arguably the two largest shopping days of the year, as they symbolize the start of the holiday shopping season. Analysts will be looking at product and company performance. Expect reports to come out that will sway market direction. This is the final quarter of 2018, after all. This year is especially interesting, as many news outlets have talked about poorer market performance from major tech companies. For example, look at how Apple’s stock price dropped Nov. 19, 2018. Will holiday shopping provide a lift? As a reminder, Dec. 13, 2018 is the CME’s equity index roll date, so make a note to do a rollover in NinjaTrader on that date or soon after. Of course, later in the month, the markets will close for Christmas. Yesterday, we posted a video of some great ATO 2 and Atlas Line signals. Here’s another video showing another set of great long trades. Today’s signals appeared at approximately 10 a.m. EDT. Once the related bar closes, a signal appears. At that point, the idea is to place a trade as quickly as possible based on the rules of the trading system. One of the quickest ways to enter a position is via a market order. Of course, you can use a pending order (e.g. a limit order) ahead of time, if you want to be prepared early. Was today a trending day? It looks like it. We traders really like trending days, but they’re pretty rare. Unfortunately, it’s more common to see choppy activity or short periods of time where price fluctuates from bullish to bearish. The goal is to come out ahead at the end of 30, 90, 180+ days. Of course, practicing with a live, simulated account at first is a great idea. Jumping into live trading with real money without much preparation can be a recipe for failure. Some of the video covers how to install indicators into NinjaTrader. An indicator can be considered a trading system. We like to think that a trading system is an entire strategy of how and when to place a trade, how to manage it, and when to get out (at a profit or loss). Indicators can also be very simple. The free indicators provided by NinjaTrader do not provide trading signals. However, the ATR and Bar Timer can be very helpful in timing orders and gauging risk. What do you do with indicators after importing them? We recommend keeping them in an accessible folder or backing them up in a secure cloud account. In the event you get a new computer or a hard drive replacement, you’ll probably want to restore your indicators as quickly as possible. Some folks are busy working day jobs and cannot practice trading from 9:30 a.m. EDT to noon. This is considered one of the best times to trade. If you can’t leave your day job or install software on your work computer, how can you practice? NinjaTrader has a feature called Market Replay that lets you download market data and replay it as though it’s occurring live. This feature is also called Playback. Want to get your hands on the ATO 2 and Atlas Line? Contact [email protected] for a special offer. The official ATO 2 and Atlas Line pages contain additional information about each method. Back in early February, we posted about how the January Effect forecast predicted the E-mini would close at a higher price in December than the price at the end of January. The January Effect is used to predict overall market direction for the year. The strategy can be used for swing trading. By switching to a daily chart, you can get a better idea of annual price activity. Since April 2018, we have seen price rise to higher levels. In fact, the four arrows show positive monthly price action. This may be an indication the January Effect is correct. We’ll need to see how the rest of the year pans out. However, if you are confident in the forecast, you can find long opportunities for swing trading. The swing trading strategy uses a simple Fibonacci tool. Many platforms have them. In NinjaTrader, the tool can be configured to show three levels: 0%, 50%, and 100%. When configured this way, you can easily find the halfway point between two price values. By identifying the recent highs and lows and the halfway point, we can look for long opportunities that match the anticipate long direction predicted by the January Effect. Jump to 3:28 in the video for an example. When price surpasses the 50% point during a retracement to the recent high, that is the entry. The idea is to ride price up and hopefully get out with a profit. Keep in mind that this type of trading requires you to hold a position over many days. Not all brokers and accounts are equipped. The longer you’re in a position, the more risk you’re subjected to. Will price continue to stay above the 50% level established earlier in the year? Only time will tell. Will the 2018 January Effect maintain its historical accuracy record? We’ll have to see! Sign up for the next Mentorship class to gain more insight. We have a new class that begins on August 14, 2018. When multiple day trading strategies confirm a long trade, we take that as a good sign. In this trading video, the ATO 2 and Atlas Line agreed that going long was correct. They were correct – the trade resulted in a two-point winner in just a few minutes. Trading one contract, this trade was worth $100. Two contracts = $200 of profit. You get the idea. Remember that these figures do not consider brokerage commissions or other costs. Generally, futures commissions are around $4.00 per contract, per trade (round-turn cost). For background, this trade was taken on the E-mini S&P 500 market (ES in NinjaTrader). At 10:20 a.m. EDT, the Atlas Line produced a long signal. At the time, price was at 2822.75. A market buy order was placed soon after the signal appeared. With the Atlas Line and ATO 2, the signals appear once a bar closes. The rules for these strategies are fully taught in the included live training and online training video(s). We understand that some traders prefer to work on other things during the day. With these two trading systems, you can set up a sound file to play when a trade occurs. This allows you to go back to the platform, place, and monitor the trade. Did you notice how the stop loss and profit target were automatically placed? That’s because an ATM Strategy was used. In NinjaTrader, ATM Strategies let you predefine a profit target and stop loss value. By selecting an ATM Strategy in the DOM prior to a trade, the specific predefined profit target and stop loss will apply once a trade is placed. The 2 point profit target and 4 point stop ATM Strategy is commonly used by DayTradeToWin.com because it’s a good average of risk vs. reward in terms of how the E-mini generally behaves. An effective day trading strategy should involve adaptive values. By the way, NinjaTrader is free for practice trading. DayTradeToWin.com’s real-time practice data (simulator) page helps with this. Assistance can also be provided for MetaTrader, though at the moment, the ATO 2 is the only indicator available by DayTradeToWin.com for MetaTrader. Changing a profit target or stop loss while in a position is best avoided. Doing so will put you behind other traders because orders are processed in the order received. When a trade goes against you, closing a position (via the DOM) is always an option. Having stops that are too small may cause an early exit to an otherwise profitable trade. Stops that are too large expose you to greater risk. Similarly, profit targets that are too small may unnecessarily limit the amount of profit you can make on a trade. Profit targets that are too large may increase risk because they’ll never get hit or keep you in the market for longer than necessary. For these reasons, we approach trading dynamically. We prefer to use a tool called the ATR to determine what are profit target and stop loss should be based on real-time conditions. The full rules for this approach are explained in the included training for our strategies. In NinjaTrader, there are two ways to monitor profit and loss while in a position. If you have Chart Trader enabled, look for red or green chart text showing a profit or loss value. You can also check the bottom of the DOM. We’ve said it before, but we truly do follow price action. We let price dictate our risk and our goal. We want to be in and out as quickly as possible with the largest bang for our buck. A simple and realistic day trading strategy is the way to go. If you want to learn everything we have to offer during a comprehensive eight-week coaching program, Mentorship is for you. This live training occurs twice a week online. The webinar format allows you to see live charts, ask questions, and learn from an experienced trader. All of our courses and software are included with live training. We record every class for later playback. Need help installing or configuring NinjaTrader? No problem – our support people can help via remote assistance. Have trading questions outside of class? No problem – email them in and we’ll respond as soon as possible. Wow, we’re more than halfway through 2018! That means it’s summertime and we need to stay aware of the unexpected market activity. At least we can plan around Independence Day, which is July 4, 2018. This U.S. federal holiday is the anniversary of U.S. independence from Great Britain. Back on July 4, 1776, the colonies produced the Declaration of Independence, so the holiday celebrates the birth of the country, essentially. Who thought you’d learn about history from a trading blog? Because July 4 is a federal holiday, expect market hours to be different. For your reading pleasure, we’ve consolidated the important changes from the CME. You’re encouraged to still look at the official CME page and the Excel files explaining the differences. The consolidated versions are the easiest to read, though the format can still be a bit difficult to read. If you trade commodities like grains, dairy, etc. read the CME’s spreadsheets. We don’t cover that here because most of our traders are interested in futures (like the E-mini S&P). Tuesday, July 3, 2018: Equity and Bitcoin markets close early at 1:15 p.m. EDT (UTC-4). Forex, interest rate, energy, metal, and DME markets will be open normal hours. Wednesday, July 4, 2018: Equity, forex, bitcoin, interest rate, energy, metals, and DME markets halt at 1:00 p.m. EDT (UTC-4) and reopen at 6:00 p.m. EDT (UTC-4). Market hours should be normal the rest of the week. The next trading holiday is Labor Day in early September. 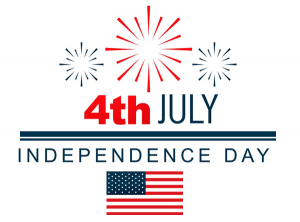 Speaking of Independence Day, do you want to become an independent trader? We often hear that people are subscribed to trading rooms and fear that when they shut down, they won’t be able to find trades themselves. We teach people just like you how to do it yourself. The best way to learn is our eight-week Mentorship Program. Get all the details here and sign up for the upcoming July 2, 2018 class. We teach and include everything with lifetime licenses – it’s a good deal! In my 20 or so years of trading, one of the most common questions I receive is, “How can I trade successfully?” There are many products and services out there. Trading can be confusing as it is. Fortunately, I had the opportunity to trade at a well-respected U.S. firm where I learned from the best and was in a position to be at the forefront of developing techniques I still use to this day. Keep reading and I’ll let you in on some advice. Here’s an early hint: finding a day trading coach is the best way. In reality, there are about two main ways to become a trader. One method is to do everything yourself. Spend countless hours, days, weeks, and even years trying to figure out what the market is doing and how you can consistently find winning trades. This is a long, expensive road. Do you have the free time to dedicate to learning properly? What about the “10,000 hour rule” for becoming an expert? Do you have endless supplies of cash for trial and error in live markets? Even if you stick to simulated trading entirely, you will need to put yourself into simulated positions on an almost daily basis in order to learn all the ways the market can move (and how you can best counter that movement). There are a ton of books and learning resources out there. Do those strategies still work? Were they tested? Are today’s markets different? The day trading coachj way is better. Consider a capable mentor who has already put in the time and money, and has refined his approach based on trading his and other peoples’ money, plus the added benefit of feedback from his students. Decades of trading wisdom is priceless. Also, a good teacher knows how to break down information into understandable portions. Sometimes, trading instruction can be way too technical. A slow, steady, cumulative approach tends to work best. Ready for a Day Trading Coach? For over a decade, DayTradeToWin has lessened the learning curve and cost associated with becoming a trader. We have designed a number of products for this purpose. In fact, we offer an eight-week Mentorship Program specifically designed from turning both inexperienced and experienced traders into capable market strategists who can tackle the highs and lows every day. All training is conducted live by a day trading coach in a webinar format. No filler content is added – it’s all based on tried and true methods. To learn more, visit the official Mentorship page. Group Mentorship classes begin about every month. The one-on-one program can almost begin at any time. A new Group Mentorship class is set to begin January 3, 2019. What is Mentorship? It’s an eight-week trading school where you can learn about 10 different ways to trade popular markets, including futures markets like the E-mini S&P. John Paul, the founder of DayTradeToWin.com personally teaches each of the classes. The live training sessions are conducted in an online webinar room. In the room, you can see John Paul’s trading charts as he teaches each of the strategies. By the end of the eight weeks, the goal is to have a complete understanding of all the strategies and how they work together to form one complete trading plan. Mentorship takes a different approach compared to other online trading schools. For starters, it’s an all-inclusive program. There are no hidden charges. Typically, you pay for the course via three payments and that provides access to all of the training and downloads. 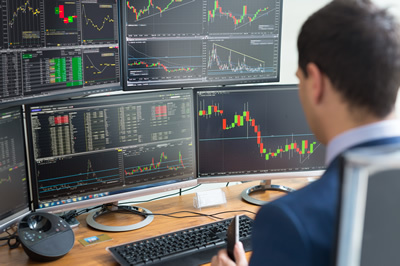 If you want to use the NinjaTrader platform and trade with real money, you will need to have to buy a license from NinjaTrader and fund an account with a broker that is compatible with NinjaTrader. DayTradeToWin.com can assist in providing a complete practice environment in which you can simulate the live trading experience. Although the course downloads are provided for NinjaTrader only, many of the methods will work with other platforms. For most strategies, the rules are fully explained. You learn how to find the trades according to price patterns, what profit target and stop loss values to use, and how to manage trades. By using an understanding of price action, you can manually trade on other platforms without the aid of signal software. The testimonials page has dozens of written statements from traders who have used DayTradeToWin.com products over the years. DayTradeToWin.com has stood the test of time as a reliable trading school / online educator. If you have already purchased the Atlas Line, Trade Scalper, ATO 2 or another product, you are entitled to a discount for your prior purchases. On Monday, May 28 (Memorial Day), expect the E-mini S&P and other CME products to halt early at 1 p.m. ET and reopen at 6 p.m. ET. This five-hour closure is detailed on CME’s page here. Expect an early trading halt for the CME’s equity, interest rate, FX, NYMEX & COMEX products. Note that the CME often uses CT (Central Time), so keep this in mind when thinking about your time zone. What’s the next trading holiday? July 4, 2018 (Independence Day). We will post more about this holiday soon. Beyond that, we have Thanksgiving and Christmas. Friday, May 25 may be a slow trading day, as can happen the Friday before a three-day weekend. With the market moving fast lately, maybe this will be a nice break.